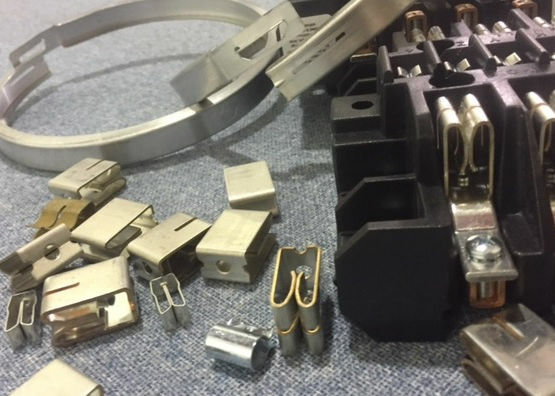 Metering Components | Meter Rings | Sealing Rings | Meter Jaws | Cal Fasteners, Inc.
Cal Fasteners stocks a huge inventory of durable, high performance components for electrical metering applications. Our selection includes die cast meter rings, sealing rings, meter jaws, meter jaw spring clips, and meter sockets. We offer only the highest quality products, manufactured by some of the most trusted names in the industry. All our metering components are available in a variety of sizes, styles, and voltage/amperage capacities (where applicable). Select components are available in custom sizes and configurations, as well. Please see individual product listings for full specifications. If you’re unsure which product is right for your specific application, please contact us and our customer service team will be glad to help you find the perfect metering component for your needs. Request a quote on metering components for your application, or contact Cal Fasteners to learn more.